Two weeks ago CA Governor Brown released his preliminary state budget. This information gives us a starting point for our 2018-2019 budget planning, which we will adjust when the state budget revisions are released in May. 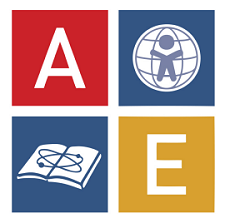 For more information on the AEA budget planning process, it may be helpful to attend our regularly scheduled AEA Board of Trustees meetings (see the official AEA calendar at www.aeacs.org). We are excited at the parent attendance at our recent AEA Parent University sessions. Addressing topics ranging from report card grading to the International Baccalaureate to net safety to teaching reading, these sessions focus on content that our community has told us they want to know more about. We are committed to providing simultaneous English/Spanish interpretation at all Parent University sessions as well as other community meetings. See the official AEA calendar for more information, and keep an eye out for signs around both campuses as well as information in the bi-weekly email newsletter. At their January meeting the AEA Board of Trustees tasked me with creating the following two working groups: 1) a group to examine AEA’s math programs K-8 and into high school; 2) a group to explore options for possibly modifying the AEA calendar in the future to better meet the needs of all students. Both groups will report back to the Board in the near future. At this time of year I often receive questions about whether the San Diego Unified School District budget planning (which recently has involved budget cuts) has any impact on AEA. As two independent charter schools for the purposes of funding, we are not subject to the SDUSD budget planning. Keep an eye out in this space in the near future for more information on these and other issues.